Have you noticed some changes in the way your Google Analytics data is displayed? If you caught the changes to the phrasing in the analytic program before they were announced, you aren't the only one. Astute users noticed the difference before Google made its official announcement. First of all, don't panic! This isn't a major algorithm update like Penguin or Panda; it's just a change in the terminology used in Google Analytics reports. This blog will outline the modifications Google made and help you understand what they mean for you. It doesn't matter if you're an analytic expert or analytic newbie; however gentle, the changes will represent a learning curve. 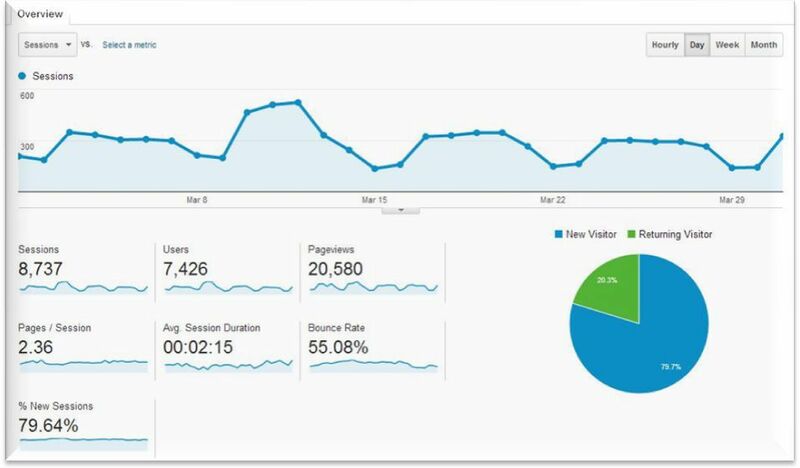 "If you collect and send both web and app hits to one property in your Google Analytics account, all your hits will appear in all your reporting views starting today. If you want to keep your web and app data separate, you need to add a filter to your reporting views. If you don't send web and app data to the same property in your account, your data stays the same." Google likes to keep us SEO folks on our toes. While this can be irritating, this particular update contains changes I can get behind. I agree with Google when they say that the changes "give you a clear and consistent way to analyze and refer to all of your Google Analytics data." If you have any questions about the changes, please call 888-886-0939. My goal is to help our clients not only understand the intricacies of SEO, but get excited about the power that SEO holds for their marketing efforts.